Shut up about my beard! Apparently SOME people in Shaolin think that King Squirt’s beard is played out. 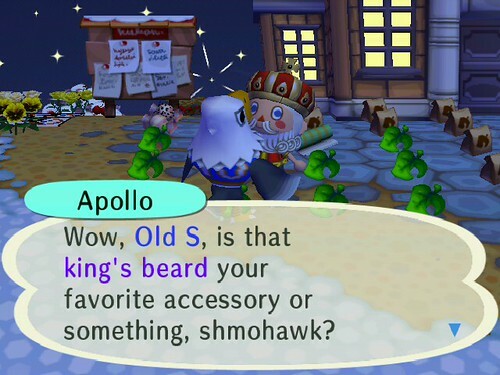 Apollo said that everytime he talks to Squirt, he’s got the king’s beard on. I think he’s just JEALOUS! lol 😛 But maybe it was time for Squirt to change his style. 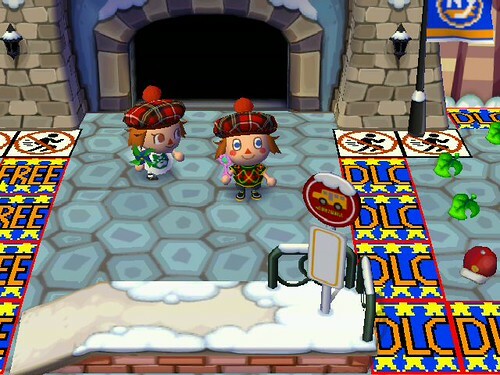 Luckily, some unexpected news surfaced from Europe that new DLC had been released! I asked if any of my friends on Twitter had received the new DLC yet. オレンジ said he had it already, and sent me one! The new EU DLC is called a Tam O’Shanter. When I got the DLC, I quickly ordered some extras and raced to open my gates. Vella came by to get a tam o’shanter of her own! Afterwards, Vella let Squirt come to Doomdoom and look for fossils. This is because I am currently collecting as many unchecked fossils, regular fossils, gyroids and pitfall seeds as possible! I’m using them to line paths. Since I’m sick of watering flowers, I thought this would be an interesting alternative. I had collected a bunch already but Shaolin is pretty huge and I need as many as I can get! Also, I only need FIVE more gyroids to complete my set at the Roost! Please check the Countdown to Retirement list on the left side to see if you have the gyroids I need. I’d really appreciate any donations! Anyway, Squirt was doing the rounds and stopped by Sally’s house. I was somewhat surprised to see boxes all packed up! Meh. I’m not too upset about it. While her house is in an awesome location, I don’t need two squirrels in Shaolin. 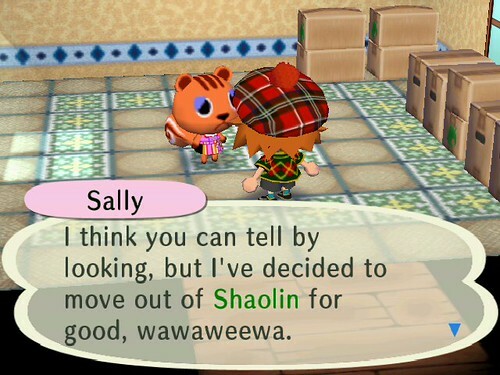 And nobody can beat Agent S in the squirrel category, so bye-bye Sally! You might have noticed that Squirt is wearing the argyle knit shirt with his tam o’shanter. I thought maybe it would look good, but on further inspection, the plaids don’t match. My other character Deb has the GracieGrace argyle top collection, so I decided to try the red argyle top. What do you think? Thanks for letting me come over and get my awesome golf hat! Maybe that’s what Vella is doing now that I play mostly with Locke. Lol. When I get time to play again I will look for gyroids for you. 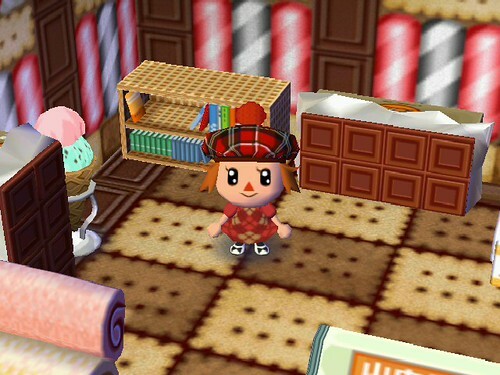 Deb looks adorable in her outfit! Do you think I could get one of those tam o’shanters? Wow….Why they name things unusual names is beyond me….But still, can you give me one? (I just hope I can remember my Friend Code, maybe I’ll look on my brother’s AC:CF, because he registered me in his friend roster). Goodbye.